Alligator, How Many Though ? This one needs the biggest screen you have. 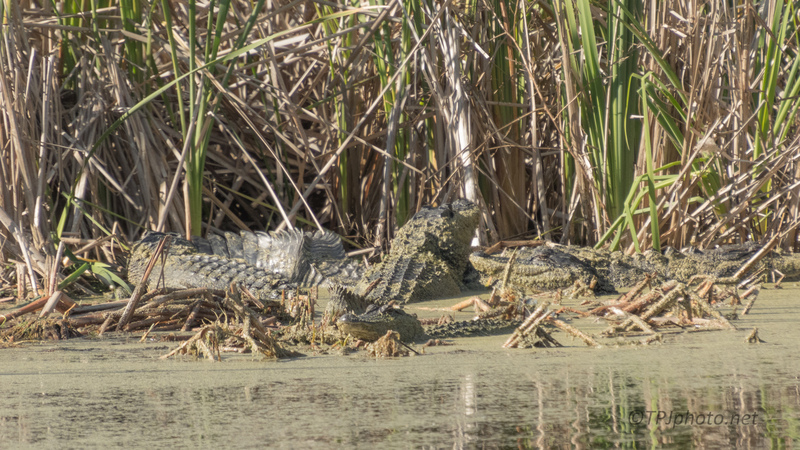 I count at least 5 Alligators, but there is more. I only counted the heads I could see. All of them are completely covered in marsh algae and weed. And they are piled up on each other. The left side has a huge tail / body that can be seen. But it doesn’t belong to the heads showing. I took the shot because I thought it was funny. One of those ‘you can’t make this stuff up’ moments.